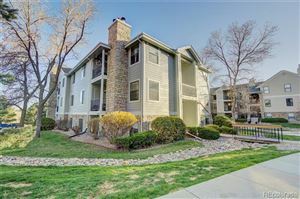 Welcome to the Columbine Valley Colorado homes and real estate portal: one stop for finding single family, multi family, condos, townhomes, lots, land, residential income, and acreage real estate for sale in Columbine Valley Colorado. You can find homes for sale by sale types like new construction, foreclosures, and short sales or you can search for homes for sale by geographic characteristics like subdivision, school, and maps. The properties for sale in Columbine Valley change daily. 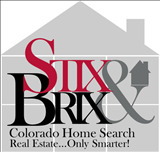 Check back often for all the latest information on homes for sale in Columbine Valley. The Town of Columbine Valley is an outgrowth of a Home Owner’s Association, of 17 families, who built around the Columbine Country Club in 1955. The Town of Columbine Valley became an official Town with incorporation documents signed August 15, 1959. There are presently approximately 500 homes in Columbine Valley, and the population is figured at about 1300. Unique for Colorado the 17 founding members selected as a beautiful, natural setting the 295-acre Heckendorf Farm located along the South Platte River Valley west of the city of Littleton. The area offered an open view of the mountains, a plateau and a winding river valley, all of which reflects a feeling of quiet spaciousness. The State flower was used to name the project “Columbine Country Club. Read more about the real estate market in Columbine Valley.